PUEBLA, Mexico (Reuters) -- Volkswagen will invest around $1 billion to expand its Puebla, Mexico, plant to produce a larger, redesigned Tiguan compact crossover, the company said Monday. The investment is focused on installing new high-technology assembly lines and will generate some 2,000 jobs, Andreas Hinrichs, CEO of Volkswagen Mexico, said while unveiling the plan. VW said the $1 billion investment will also help auto parts suppliers retool factories to support Tiguan output. Production of the Tiguan compact will begin in 2016, with the vehicles hitting the market the following year, he added. The current Tiguan is scheduled to be redesigned in 2017 and a long-wheelbase version, with three rows of seats, will be sold in the U.S. market. VW says production capacity for the longer Tiguan will be 500 units per day. It will be shipped to markets in North and South America, as well as other world markets, excluding the European Union and China. The next-generation Tiguan is a key part of VW’s plan to lift its U.S. sales with a broader SUV and crossover lineup. The Tiguan is slated to arrive stateside in the second quarter of 2017, after VW’s new midsize crossover hits showrooms in the first quarter. The still-unnamed midsize CUV, which will be larger than the Tiguan, will be assembled at VW’s plant in Chatanooga, Tenn., and rides on a different version of the MQB platform than the Tiguan. 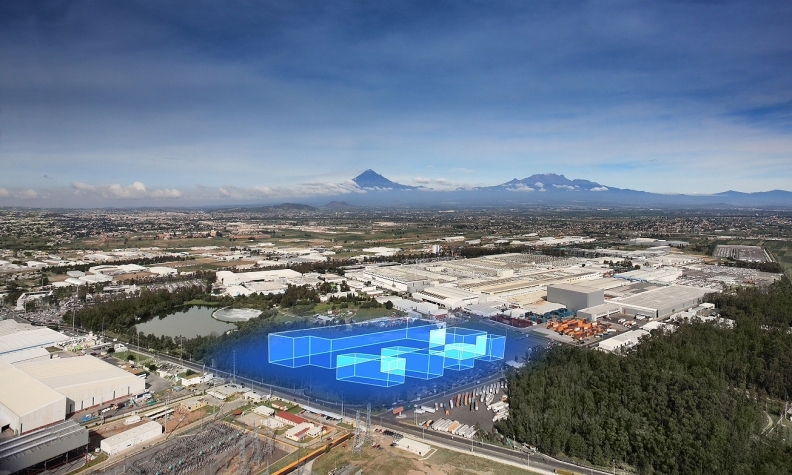 A rendering of the planned expansion at VW's plant in Puebla, Mexico, to support production of a redesigned Tiguan crossover. Volkswagen, which opened its Puebla plant in 1964, last year produced 475,121 vehicles out of about 3.2 million autos manufactured in the country, Mexican Automotive Industry Association data show. Mexico is the seventh biggest manufacturer of autos and the world's fourth largest exporter, according to AMIA. Over 80 percent of those vehicles are destined for sale abroad. Total auto production increased 27 percent last year, compared with 2013, and AMIA has predicted that Mexico will produce more than 5 million vehicles by 2020. David Phillips and Ryan Beene contributed to this report.